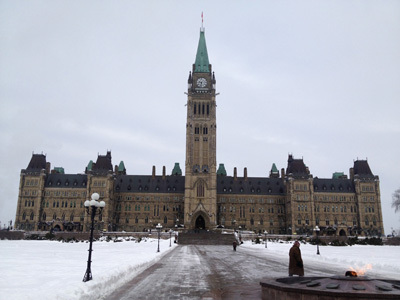 Late last night, we arrived in Ottawa so that we could attend the 2013 Canadian Rheumatology Association (CRA) 13th Annual Scientific Meeting. The event, which begins today, brings rheumatologists from all over Canada together to learn about and share the latest advances in arthritis research and care. Arthritis Consumer Experts (ACE), along with CAC (Consumer Advisory Council), and CAPA (Canadian Arthritis Patient Alliance), and the Consumer Advisory Board of the Arthritis Research Centre of Canada will be there to share the arthritis consumer perspective. You can keep up-to-date on our activities by following us on Facebook or join the conversation on Twitter using #CRAASM2013. Do you have any questions? What would you like to know from a rheumatologist regarding the state of arthritis healthcare in Canada? Send your questions in French or English to feedback@jointhealth.org and we’ll include them in the interviews. Want to provide feedback in another way? Please fill out our JointHealth™ survey. This is your last chance since it will close at midnight on Thursday, February 14, 2013.